Brevoort promised characters “old and new” will appear in Original Sins, with Alonso chiming in that a Deathlok story in the series is intented to be a “Point One” style lead-in to a future Deathlok solo series. The Deathlok story is by Nathan Edmondson and Mike Perkins, the latter Brevoort says calls Deathlok a “dream job” going back years. 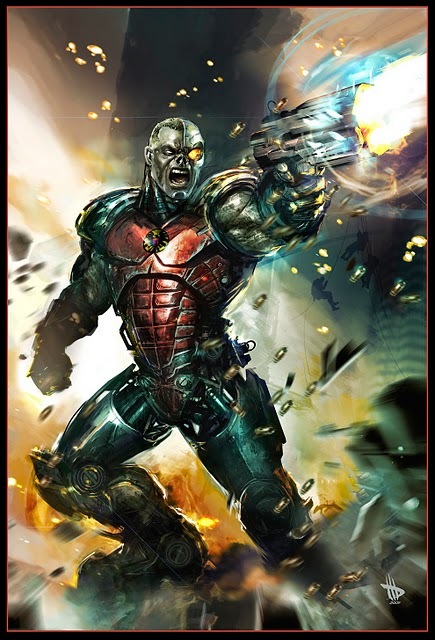 The story in Original Sins will re-introduce Deathlok, and his alter-ego Michael Collins, to the “core of the Marvel Universe” Alonso states. According to Alonso, Deathlok will be one of “four to five” characters Marvel plans on launching ongoing series for out of Original Sin. Marvel also has plans for several of their currently ongoing series to feature “transformations” of its characters with the effects of this line-wide event. What do you think of the return of Deathlok to comics? looking forward to his return.